When I started writing this series of posts, this was the one I couldn’t wait to do. But in addition to my fabulous and glamorous DBA job, I also coach my daughter’s volleyball team and that is about to kill me! I felt like I couldn’t do this post the justice it deserved if I just whipped this post out so I waited until I had the time to do it right. 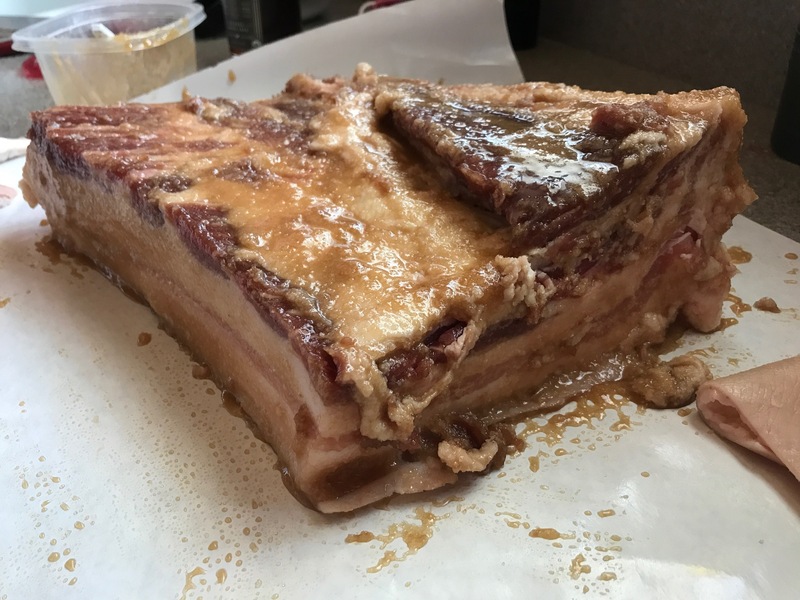 Of all the cure recipes I’ve written about, this one is the most fun because the beer really enhances the pork’s flavor. 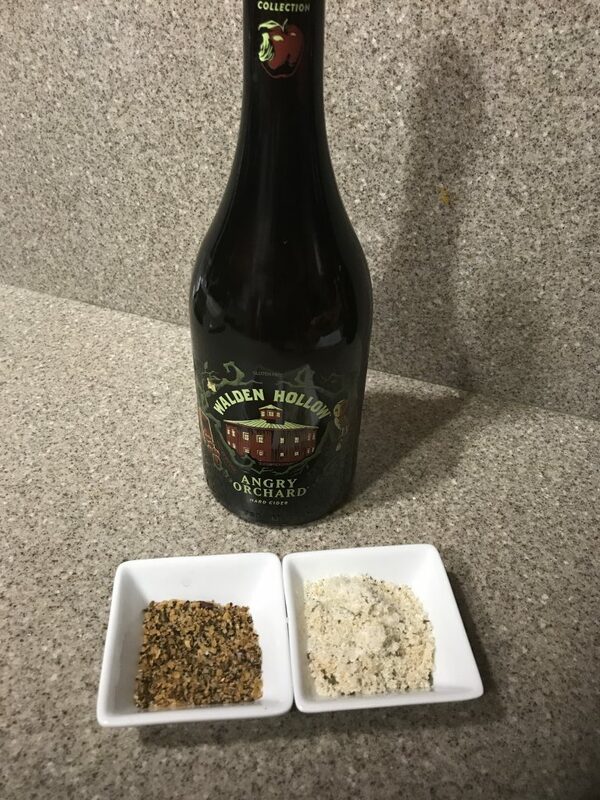 If you were to taste the bacon, you wouldn’t be able to say “wow this bacon was cured in beer.” And I’m sure there’s some science behind how it works, but for now just believe me when I saw that you should try this. Let’s talk about the beer. In the original recipe, the authors used a tripel. In case you aren’t up on your brewing practices, tripels got their name because the recipe uses triple the normal amount of malt. 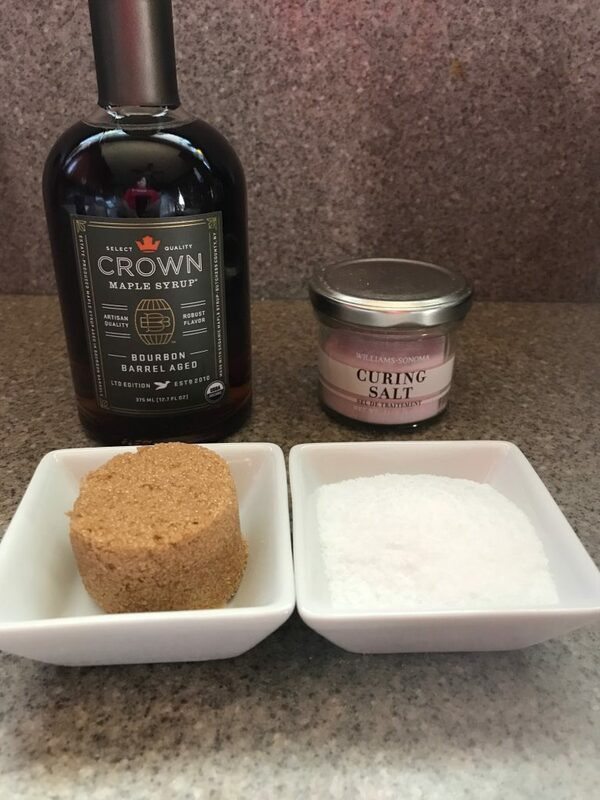 Modern brewers also use candy sugar and the resulting alcohol levels can be quite high. But I’ve also never felt restricted just to tripels. My local liquor store offers me this selection. This selection prompted me to experiment. 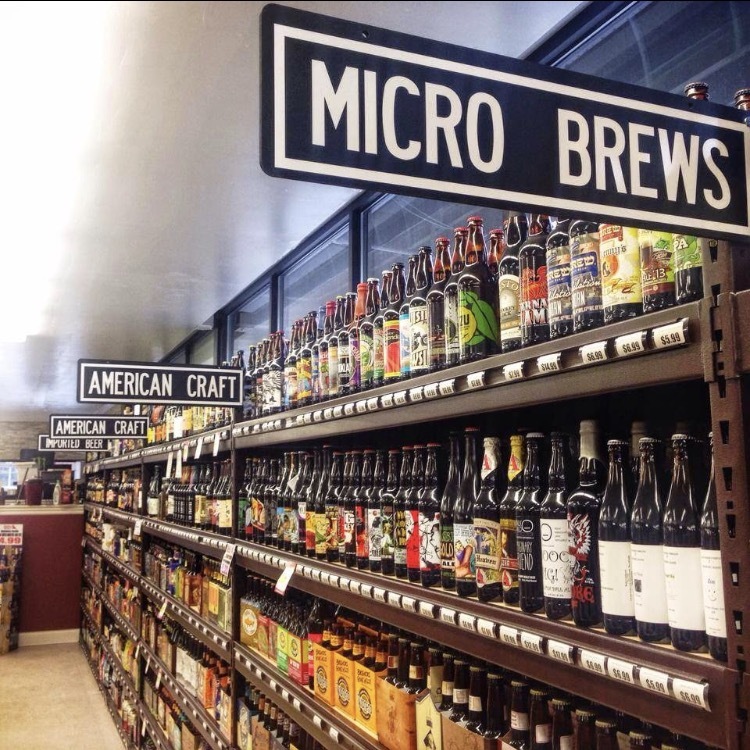 I’ve tried stouts, porters, lagers, even a smoked beer. I can’t tell too big a difference in the flavor but the pork will take the color of the beer. 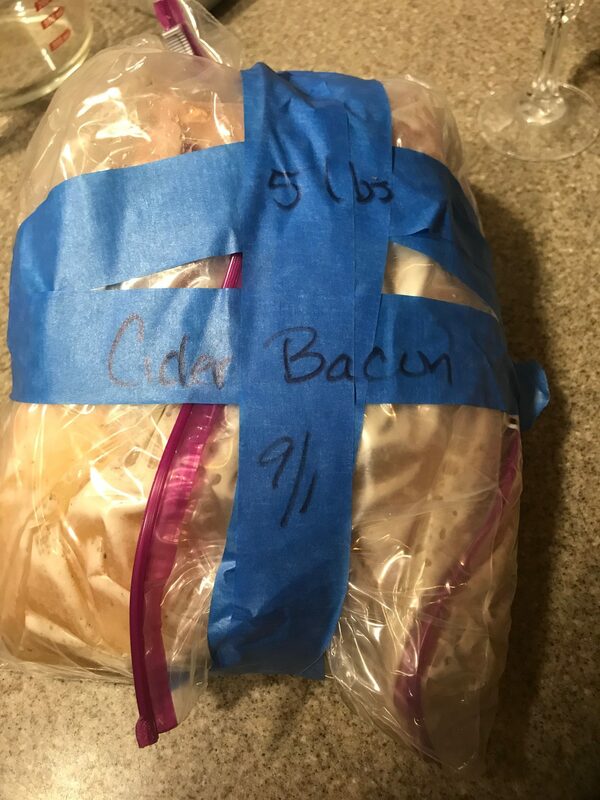 For this round of bacon curing, I went rogue and tried a hard cider. I picked Angry Orchard’s Walden Hollow which comes from Rome, Jonathan, Macintosh, Newton Pippin, Golden Russet, Rhode Island Greening apples. 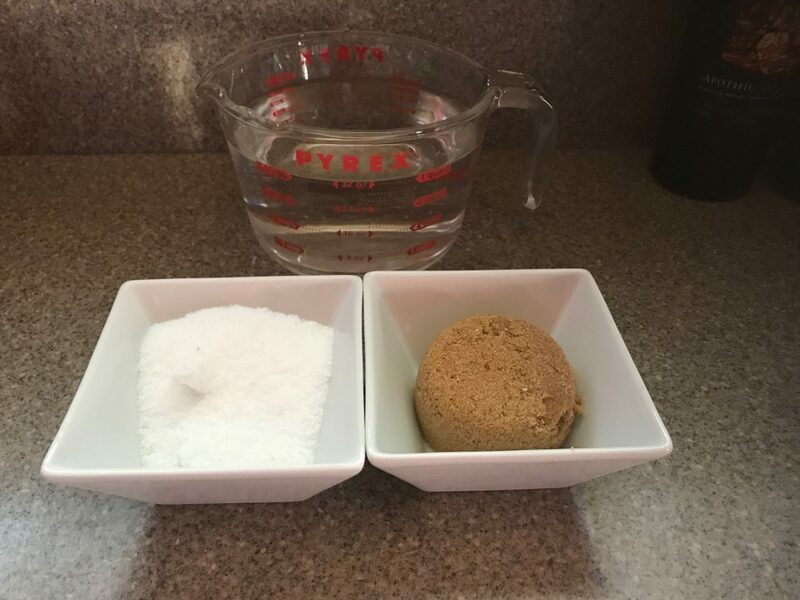 In the first step of the recipe, you take the sugar and salt, boil them into water. Once that water/sugar/salt mixture is cool, add the rest of the ingredients. Mix well and add the pork belly. Let it sit refridgerated for a week to 10 days. Stay tuned: Only 2 more posts to go! Thank you so much for sticking with me but this is when the bacon gets really good! I got this recipe from here. 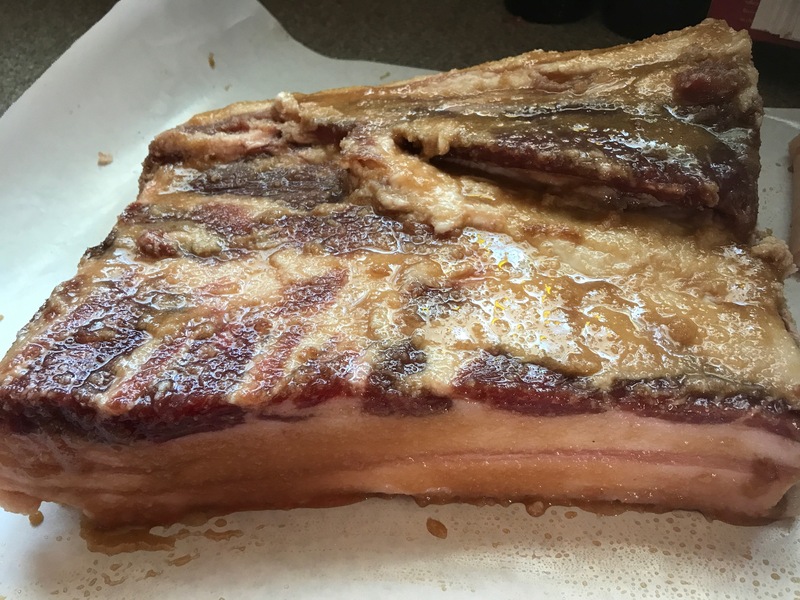 Let’s start with a gratuitous pork belly photo. Pro tip: Double bag it or else you will end up with cure dripping all over your fridge. It will make your fridge smell good, but it is messy. Put the belly into your fridge for 7-10 days, flipping once a day. 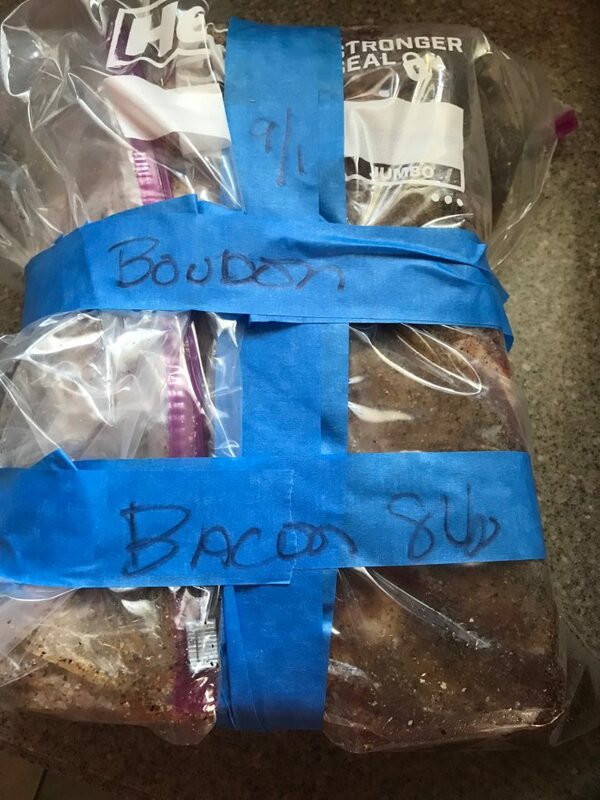 Most bacon recipes are either sweet or savory. 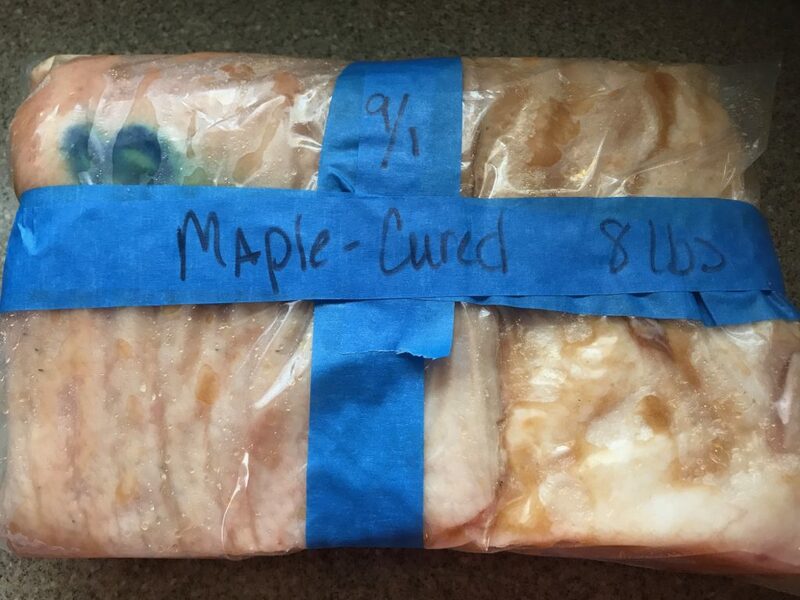 Yesterday, we did a cure with maple syrup, so today, we’ll go with a savory taste. I got this recipe from here. 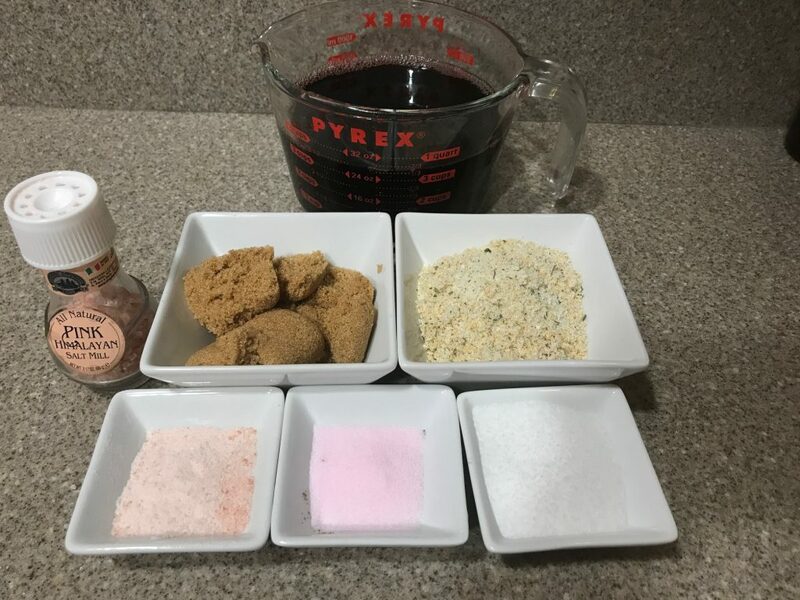 Assemble the ingredients into a large plastic bag and shake to mix. 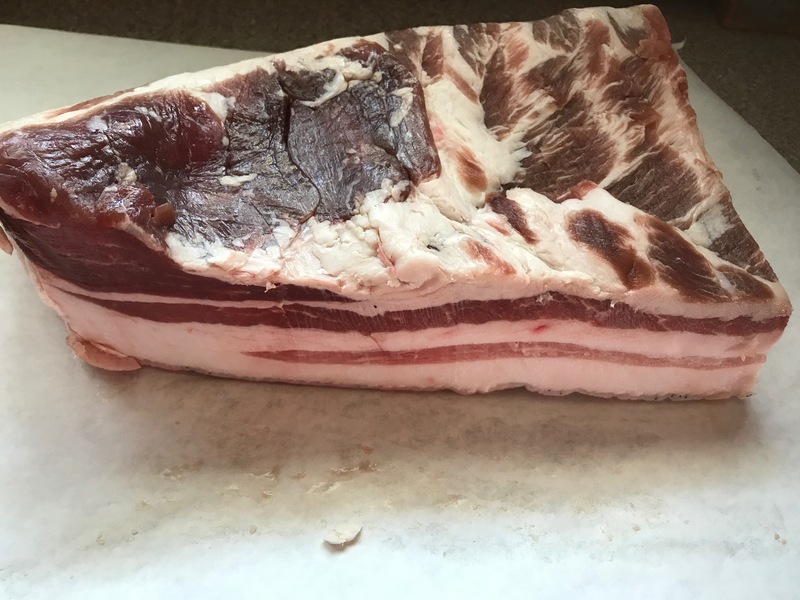 This recipe is for 3 to 4 lbs of pork belly. Mine is right around 8 lbs so I just doubled it. And yes, that is a lot of black pepper. 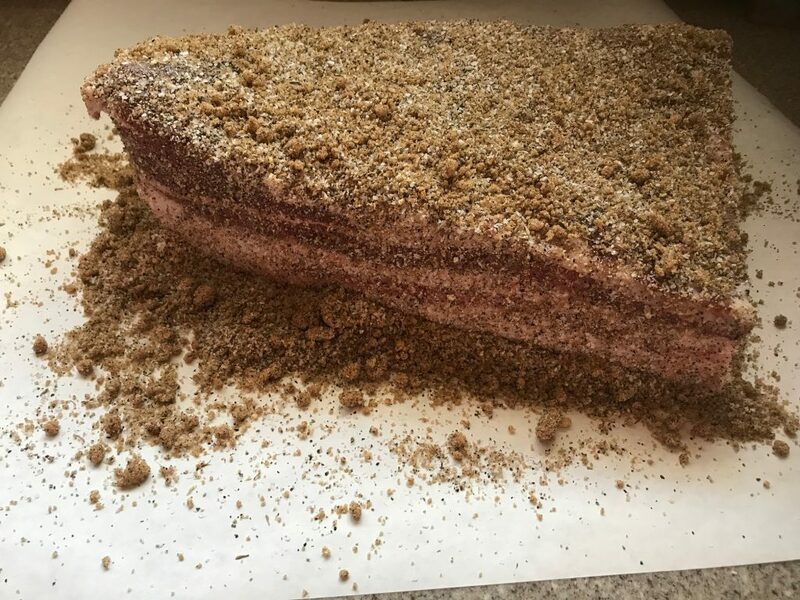 Put the pork belly into a plastic bag and dump the extra spice mixture into the bag with the belly. Seal it up. Wrap it with painter’s tape, label it and stick it into the fridge for 7-10 days. It’s that easy. After today, we’ll get into some unusual cures. 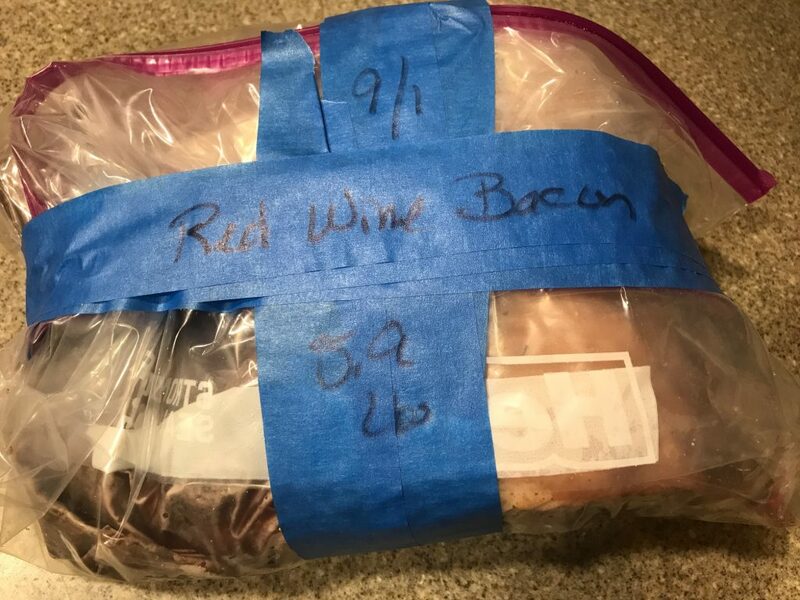 Once we do those cures, I’ll tell you about a field trip to a bacon counter here in Chicago and then we’ll smoke all the pork bellies and see the final product. Thank you so much for sticking with me and following along on this process. I’m really enjoying this project and I would especially like to thank Bob for allowing me to use his blog. So let’s cure this piggy’s belly! 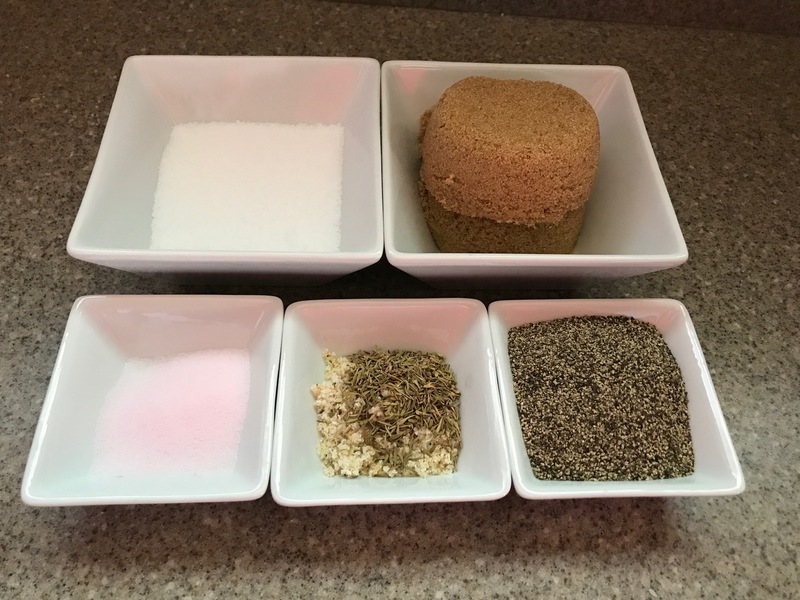 I’ve cut it up into smaller pieces so we can try a couple of different cures. 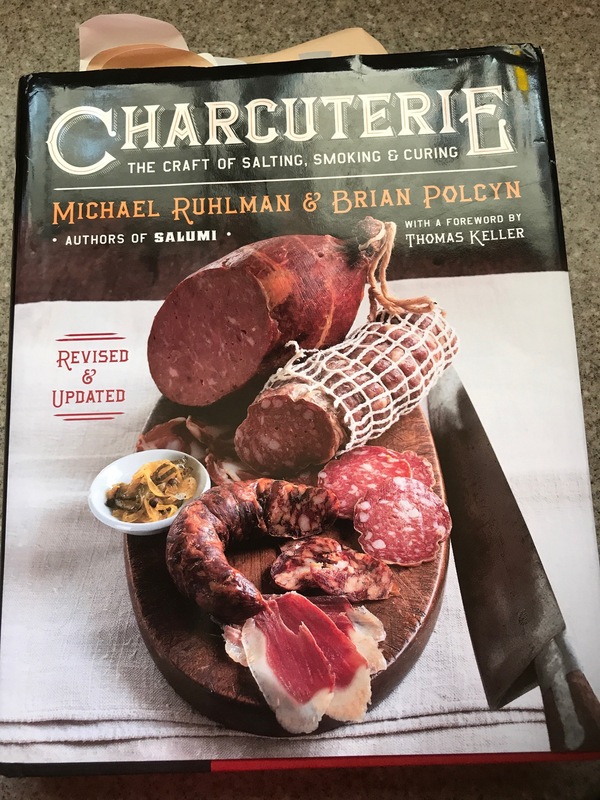 I’m using a recipe out of Michael Ruhlman and Brian Polcyn’s Charcuterie. I love this book and even if you aren’t even going to cure meat, it’s great reading. I also recommend their Whiskey-Glazed Smoked Chicken and their Smoked Scallops. I’ve also made their chorizo and someday I will try their Canadian Bacon recipe. 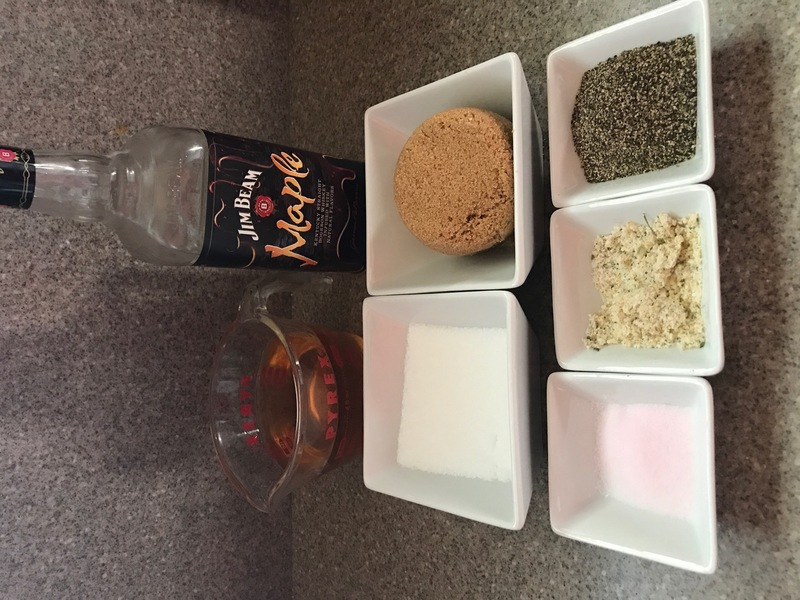 A word about the maple syrup. 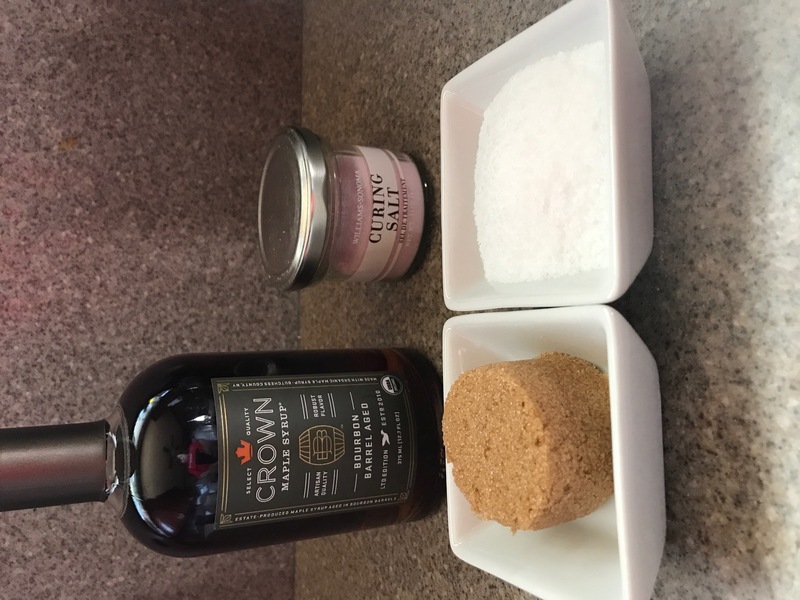 The Crown maple syrup was on sale at the grocery store and I’m a sucker for bourbon barrel-aged products. I don’t drink bourbon, but I love the flavor. And this stuff is nectar. If you get a chance to snag a bottle, do it. It’s not that much more expensive than ordinary maple syrup (which already costs a fortune). 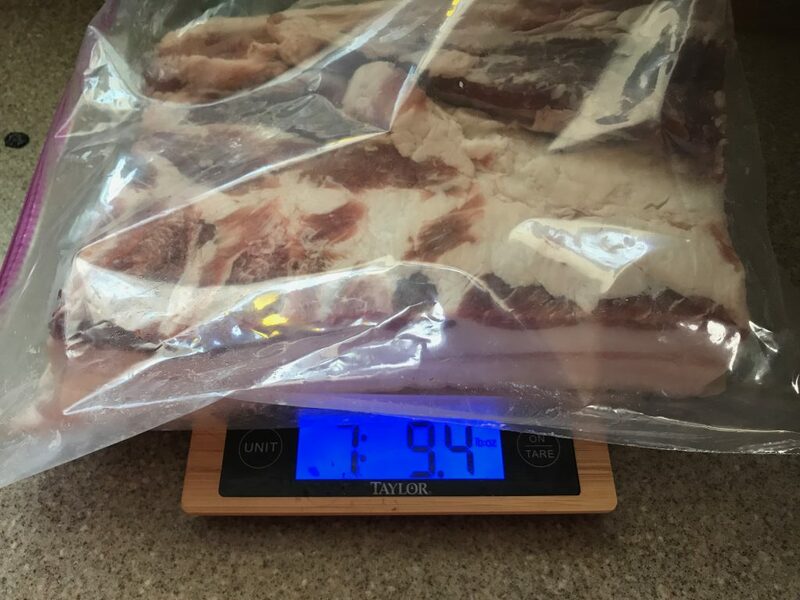 My pork belly weights about 7 1/2 pounds so I adjusted accordingly. 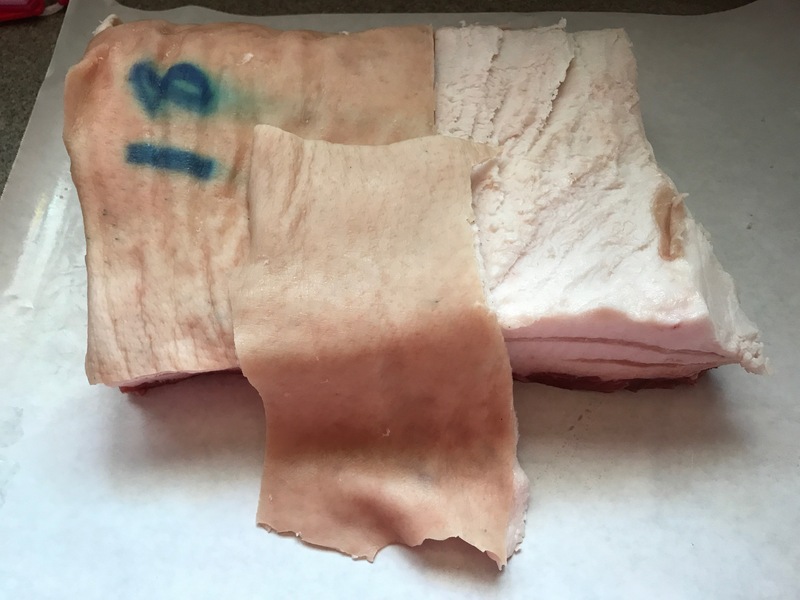 These pork bellies came with the skin still attached. You can slice it off now, but I’ve found its easier to cut it off after it is cooked. 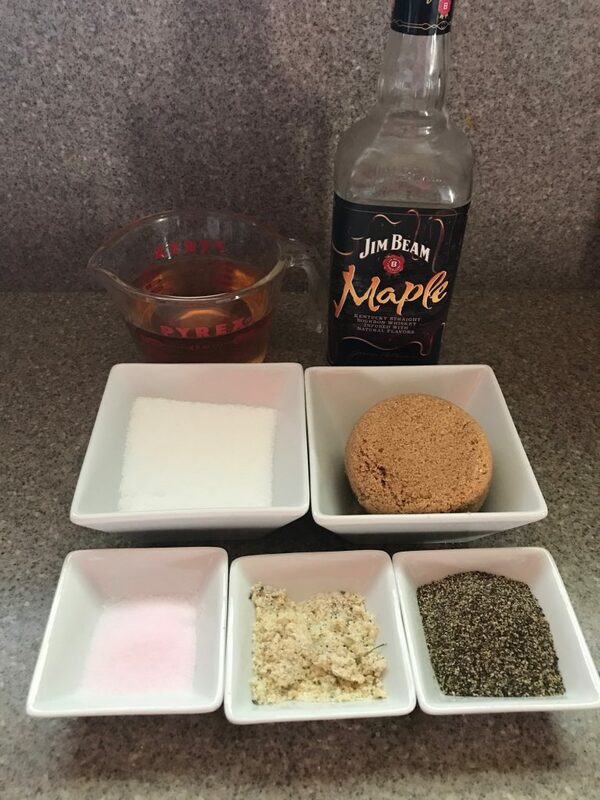 Mix all the ingredients and then slather on the belly. Rub it in so it comes into contact with as much the surface as possible. 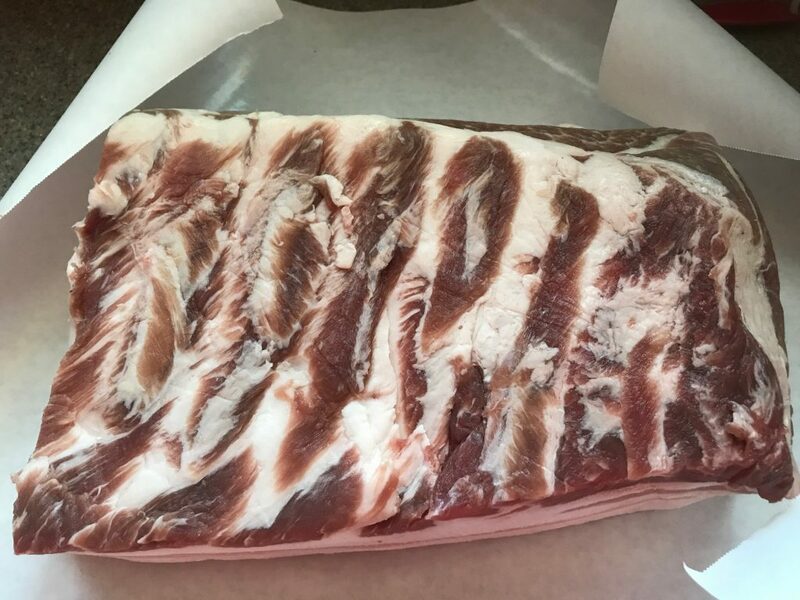 Then the belly goes into a plastic bag for the next week to 10 days. I stock up on the 2-gallon plastic bags when they go on sale and use painter’s tape for notes. Since I’ll be doing 4 more cures, it helps distinguish the different recipes once they go into my fridge. Tomorrow, I’ll show you a recipe for pepper bacon.